Having said that, I do follow the election news — and if I was able to vote, I’d have a pretty strong preference for change from the current White House administration. With this in mind, I have been keeping up with the 2020 Democratic Party presidential primaries. I like to think I generally understand the schism between “establishment” moderates and more left-wing social democrats. In different contexts both have their strengths and weaknesses, and I am keen to see how the Dems primaries will play out. 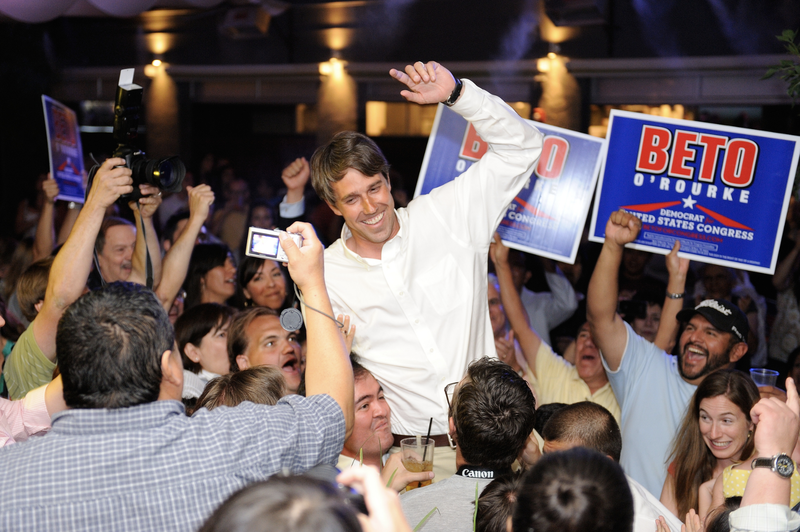 The appeal of Beto O’Rourke. I do get that he’s tall, handsome, articulate, and his near win over Ted Cruz was truly astonishing to watch last year. His campaign managed to achieve a record turn-out of millennial and Latinx voters, and he did that through large numbers of small donations and grassroots activism, without the help of huge amounts of PAC or corporate money. Beyond Texas, he appeals to broad range of voters in Arizona and the Midwest. The fact that he doesn’t use speechwriters also plays favourably with many people who are disappointed with more traditional approaches to politics, similar to the way people enjoy how he engages his followers on social media. Having said all that, his actual voting and policy record seems anything but popular with current Dem ideals. O’Rourke frequently voted alongside Republican lines against the majority of House Democrats: During his six years in Congress, he cast his vote in support of Republican anti-tax legislation, the fossil fuel industry, and Trump’s immigration policy, while also weakening the Affordable Care Act and regulations on Wall Street. In fact, during Barack Obama’s administration sharply criticised two GOP bills that O’Rourke had voted in favour of. His run for presidency has also been lauded by the think-tank Third Way, which is funded by the finance industry and has previously attacked Elizabeth Warren. O’Rourke is also often applauded for his rhetoric about the dangers posed by climate change. But he has broken promises he made to support action on this issue, and his ties to the oil and gas industry go so far that they even have attracted the attention of GOP operatives interested in sowing discord among his base (also a clear sign that they feel threatened by his run). For example, last year O’Rourke had signed a pledge stating that he would not accept donations over $200 stemming from fossil fuel companies, but a report revealed that he had in fact done so on dozens of occasions. His name was subsequently removed from the pledge. During race for the Senate seat, his emphasis on the dangers of climate change was widely applauded. 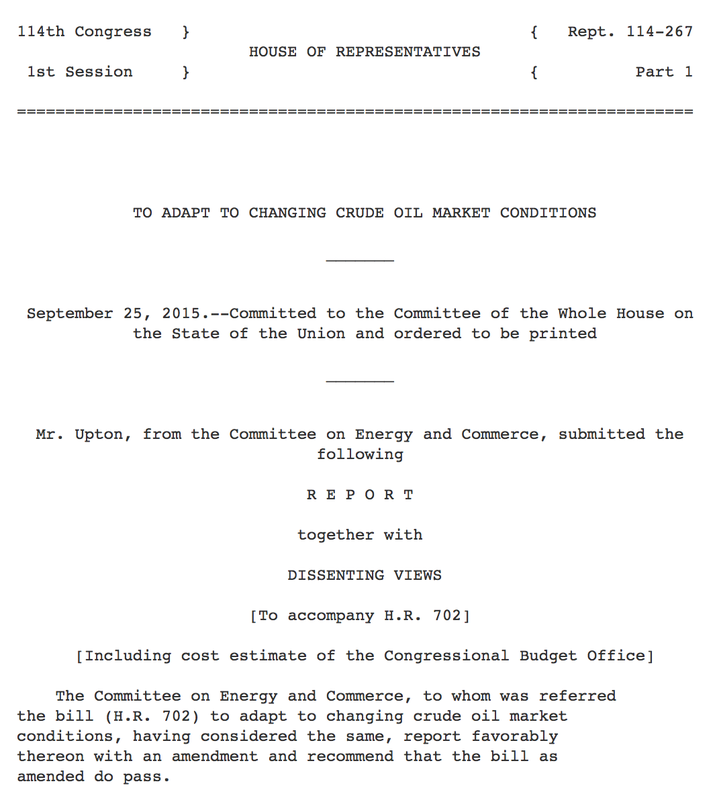 But during his time in Congress, he has also voted alongside the GOP to repeal a 40-year-old ban on oil export, voted against a Dem bill preventing oil drills in the eastern Gulf of Mexico, and supported GOP legislation to fasten natural gas exports. This year, O’Rourke has voiced support for “the concept of” a Green New Deal, but only after the powers of the committee set up to address climate change were severely reduced by top Democrats. Similar discrepancies between O’Rourke’s rhetoric and record have emerged on the topic of Medicare4All. He has publicly voiced his support for it, but never signed on as a co-sponsor of HR 676, the House’s “Medicare for All” bill. He explained this because of lack of inclusion of for-profit healthcare providers, which you can argue about for days, but even conceding that decision, it doesn’t explain why he didn’t support Bernie Sanders’ weaker bill in the Senate either. His past reasoning for his opposition to the latter is arguably even thinner — he attacked it for not including co-pays or premiums for low-income families. 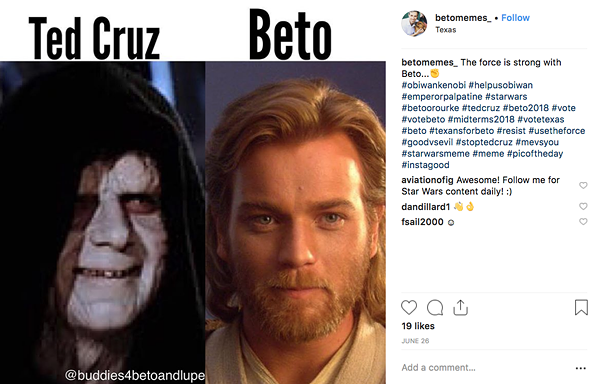 I am not saying Beto O’Rourke wouldn’t make a good president. And I am not saying that there are no good reasons why he did any of the things listed above, though I struggle with thinking of any for some of them. This isn’t meant to sway anyone’s political opinion on him — I am more interested in the phenomenon of his appeal among the left. It’s not that there is a loud and proud moderate centrist base behind him, it’s a broad alliance of progressives of all creeds, often more leftist than centrist, and as such they are proclaiming him as a progressive. This leaves me wondering: considering his record in Congress and on progressive issues since then, where does this progressive image come from? Is it just that he is the Anti-Trump, sans more revolutionary, left-wing ideas that would swing the pendulum in exactly the opposite direction? Is it the Twitter meme culture that loves him? Or is it just that Dems are not taking any chances whatsoever anymore — the most likeable person to beat Trump will get on the ticket (and hence, inherent societal biases that might inform who counts as “likeable” are also influencing this apparent appeal of O’Rourke)? Ultimately, ripple effects of the outcome of the 2020 Democratic Party presidential primaries, as well as the presidential election itself, won’t be restricted to the USA. There has been a global shift towards right wing politics in the last decade or so. 2016 is often considered the peak of this wave — now we have to see whether the pendulum will swing back, as it appears to do in some other countries. In this context, the winner of the Dems primaries will be a weathervane of progressive strategies to come. If O’Rourke wins over more progressive candidates despite his track record, centrist as well as leftist movements around the world will take note. 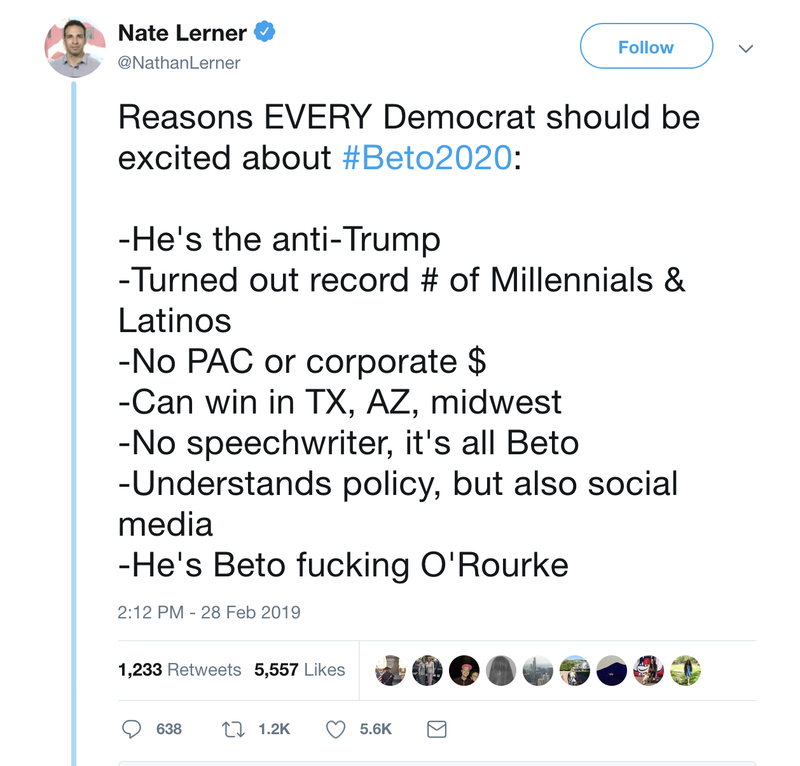 We just have to see whether Beto2020 can maintain its momentum with progressive voters who appear to remain unswayed by his actions over his words, whatever their reason may be.